When it comes to Chinese cuisine in the Bay Area, San Francisco gets most of the attention, and deservedly so. But there are gems all over the place, particularly in the East Bay. 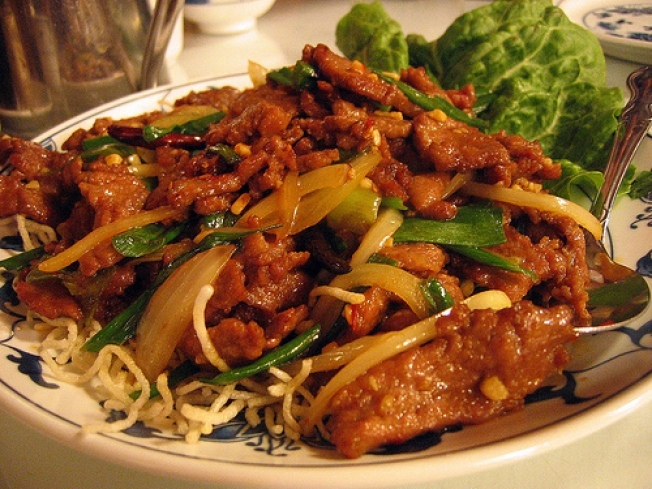 It took me a few years to discover Great China Restaurant in Berkeley, and once I did, I was hooked. Peking duck is Great China Restaurant’s standout dish, but I haven’t tried it yet. The thing is, Mongolian beef is my favorite Americanized Chinese dish, and I’ve been in search of the elusively perfect rendition for years. I can rarely go to a Chinese restaurant and not order the Mongolian beef. It’s my weak spot. So of course when I arrived at Great China, I walked past the busy tables feasting on Peking duck, took one look at the menu, and ordered the Mongolian beef. But first, I started with the wonton soup. It may look like your run-of-the-mill wonton soup, but Great China’s version had one of the most flavorful broths I’ve tasted in recent memory. The wontons themselves were plump and juicy, stuffed full of delicately seasoned meat. The Mongolian beef came with heaps of green onions and the meat was seared just right. My only letdown is that it wasn’t spicy enough. (Still, that didn’t stop me from ordering the Mongolian beef yet again the next time I visited.) More chilies, please! Since my first visit just over a year ago, Great China Restaurant has become my favorite East Bay destination for Chinese cuisine. I continue to hear rave reviews about their Peking duck, and I’m kicking myself for not yet having had the discipline to order it. Next time, I promise.